Over thirty years ago, Jan Malkar sought out Montessori education for her young daughter and son. She wanted them to benefit from a program that was based on the natural developmental needs of children and one that supported an appreciation of each child’s unique potential. In order to insure that her children would have a quality Montessori school to attend, Jan took Montessori training and she and her husband, Shree, founded the school. As their children grew, so did the school—they attended through the Elementary program. Jan went on to become Montessori Certified at all three levels – Infant/Toddler, Primary, and Elementary. What began in 1982 as a one room program for 3-6 year-olds in a rented Church building has become a vibrant school in a facility built specifically for us and serving children from Infancy through the Elementary years—including Jan and Shree’s three grandchildren! One of our proudest achievements occurred when we became recognized by the Association Montessori International; we are the only AMI recognized school in the metro Detroit area. 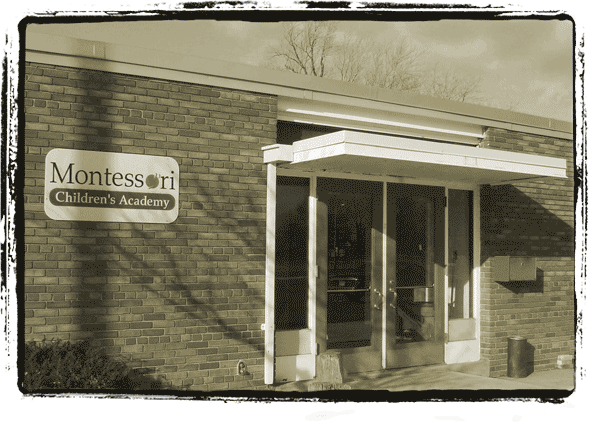 Montessori Children’s Academy is an Association Montessori International (AMI) School. Nurturing a love of learning since 1982.